Competition is the driving force that has pushed capitalist economies forward as businessmen and engineers try to produce products that are better or cheaper than ever before. Competition breeds continuous improvement, but consumers ultimately get to decide what they prefer, and sometimes they make curious choices. Take chopsticks for instance. Why do they still exist? They were probably first invented when people only had sticks and stones. Granted, China was still probably using sticks and stones until recently, when the communists finally realized that capitalism actually did have some redeeming values. But now that they have decided they would rather have modern conveniences, technology, and fashion, why are they still eating with sticks? They had no problem ditching the look-alike Mao hats and clothes, so what’s up with the sticks? Eating with chopsticks is kind of like going camping. It might be fun for a change of pace, but few of us really want to live in a tent and dig a hole in the woods every day. Sure, I’ve got some chopsticks around for the kids, but it is rarely their utensil of choice, even when eating Chinese take-out. Chopsticks originated in ancient China during the Shang Dynasty. The earliest evidence comes from a pair of bronze chopsticks dated to 1200 BCE. Ironically, chopsticks are said to have replaced the fork. That’s right, they replaced the fork! I guess ancient Chinese forks were just too expensive or just weren’t good enough. So, we can’t blame the Chinese for not wanting to go back to that awful, old eating technology again. If it is redesigned, maybe the spork will have a chance of displacing chopsticks as the predominant eating utensil in Asia. Let’s move on to the fax machine, a low data-rate device that takes an image and sends it through a landline telephone connection. There is no way to be sure the fax on the other end received the image, or that it was readable, or that there was paper in the machine, or that the right person was there to pick it up. You can’t even send a high-quality color image to most machines. Oh, and my favorite reason to hate the fax is that there is no way to stop fax spammers from using up your ink and paper with their advertisements. The fax lives on for two main reasons. First, it is so simple that anyone who has a phone line can use it. Second, most jurisdictions now recognize a fax as a legal document, but a scanned and emailed copy is not necessarily admissible in court. What the lawyers say we must do will always lag behind what the inventors make it possible for us to do. If you can use a scanner and have a network connection, a fax machine is no longer needed to send a fax. If you have the right software, or better yet, an online fax service, you don’t even need a fax machine to receive a fax. You just need an email account, or maybe even just an app. You can easily email, upload or scan a document using a fax service that will send it to another fax service that will convert the fax into a document and send it to your email. That’s right, two people can be faxing each other even if neither of them actually owns a fax machine. The only people who really need a fax machine are the ones who only have a phone line, but that number is shrinking down to almost nothing. 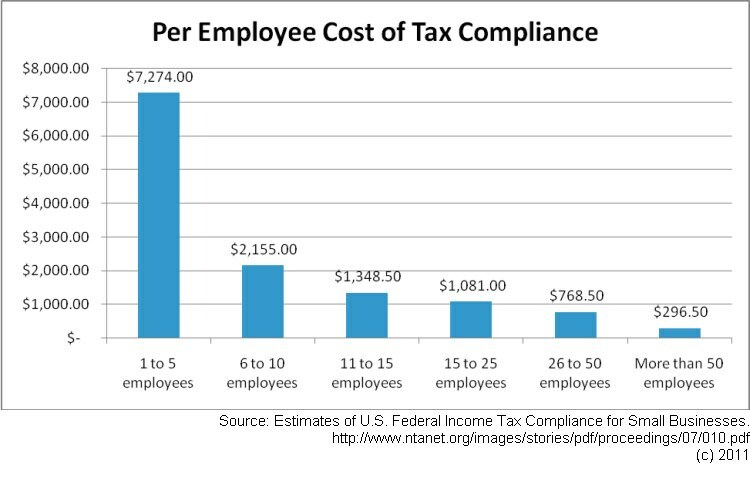 So, why do technically savvy people still use fax machines or services? Mostly, I think it is due to the protection afforded to fax copies and because nobody can agree on how to create digital signatures that are legally admissible in court. Ironically, I file my federal income taxes electronically every year with nothing but a PIN number and my name. I guess the IRS doesn’t have to bother with minor issues like the legality of your signature. If you owe them money, they are going to take it one way or another. Sometimes a better mousetrap just won’t do. How about a virtual mousetrap? 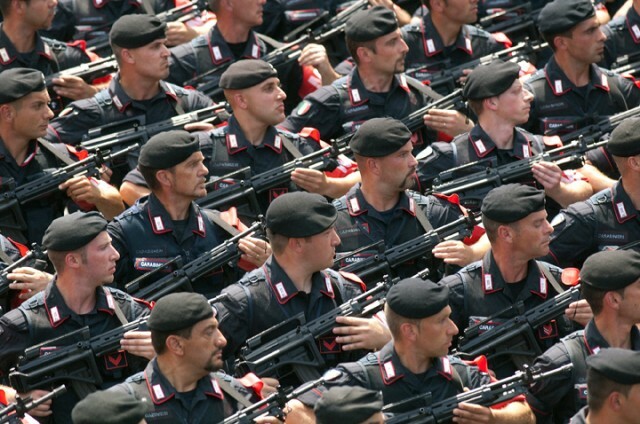 This entry was posted in Technology, Uncategorized on February 15, 2016 by EarthVisitor. This is a follow up to a couple of previous blog posts about Wall Street’s unwarranted bearish outlook on GoPro, which you can find in this first post and this second post. I was right about the stock rebound, but it has gone back down again, and I think it is a screaming BUY, so here we go again! 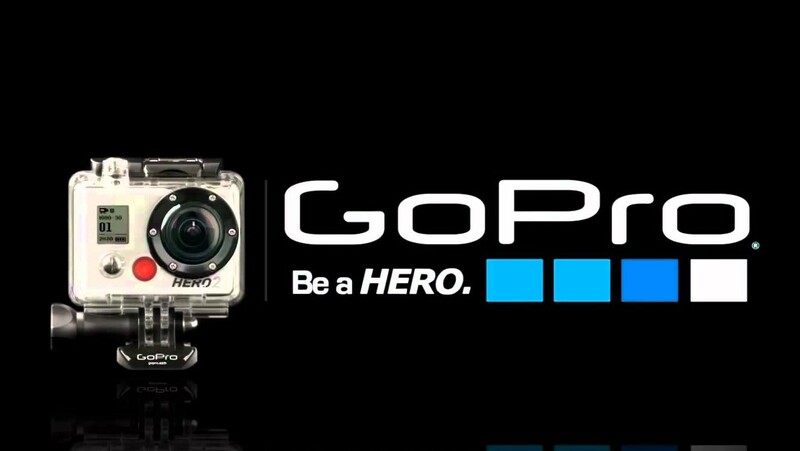 GoPro Inc. (GPRO) hit an annual low this month after reporting its second best quarter ever. According to GoPro Founder and CEO, Nicholas Woodman, “Our core business is enjoying terrific momentum as we charge forward into attractive adjacent markets.” GoPro hit its previous low in March after it continued to post strong quarterly gains, followed by another ascent on the back of continued strong results. Surely, you ask, Wall Street must be missing something to cause the stock to crash yet again. The market seems to have the notion that GoPro, despite its impressive earnings, revenue, and margins, is once again on the verge of collapse as the action camera fad ends and sales plummet as it reaches its last niche customer. Not that there is any evidence of this, mind you, but that is the fear. In the second quarter of 2015, GoPro reported almost $420 million in revenue, a 72% year-over-year increase and their best quarter ever. Earnings per share jumped from $0.08 to $0.35 year over year and gross margin increased 420 basis points to 46.4%. It was a beat on guidance for all three measures. Third quarter guidance is for revenue of between $430-445 million, which would be a 56% year-over-year increase. EPS should be $0.29 to $0.32, with gross margin at about 46%. Analysts reacted to the strong quarterly results by increasing their own estimates and reiterating indications that the brand is still extremely popular. 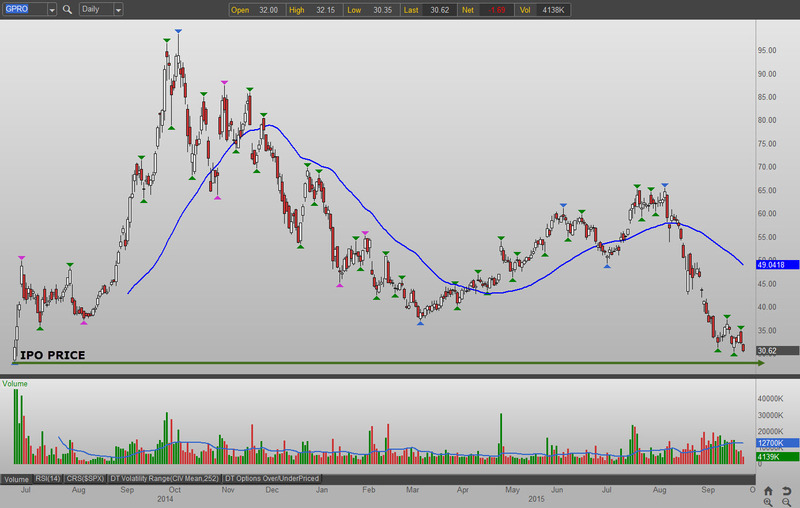 All seemed well until the stock started in mid August to slide from the $60s to below $30 for no apparent reason. If this sounds like “déjà vu all over again,” it does seem to be a repeat of the previous period of volatility between December and March. After weeks of a declining share price, analysts started to point to previously-expressed fears about the company’s prospects against cheaper Chinese competitors such as Xiaomi or well-known brands such as Sony. Slower than expected sales of the new Hero 4 Session, which was priced at $399, the same as the Hero 4 Silver, caused GoPro to slash the price by $100. This caused analysts to fear that, this time, GoPro had finally lost its appeal. Piper Jaffray downgraded GoPro based partly on the Session price cut and partly on a teen survey that showed a deceleration in holiday wish list activity and a reduction in its Amazon product sales index. According to Analyst Erinn Murphy, “We believe we are starting to see the tipping point of demand in our survey and against a holiday with no new products likely on deck, prefer to sit on the sidelines.” But she also cited volatility as a reason for “stepping to the sidelines” on the stock. Seriously—she cited volatility as a reason to downgrade a stock. That is just as bad as recommending a stock just because it is going up. I suspect that simple fear and the taking of profits was the real cause for the stock’s price drop rather than any credible news. 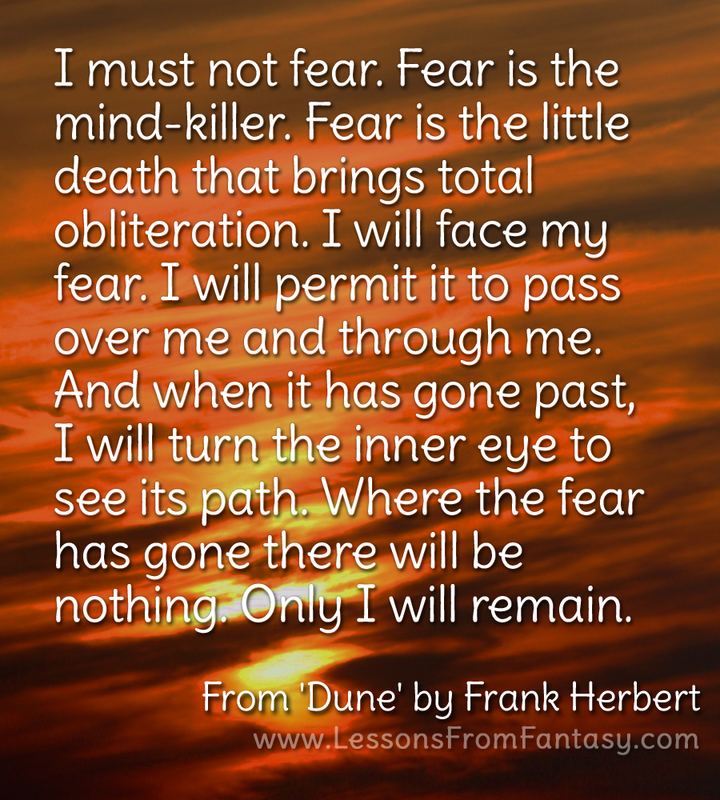 One of my favorite quotes from Frank Herbert’s science fiction classic Dune series is this: “I must not fear. Fear is the mind-killer. Fear is the little-death that brings total obliteration….” Well, the stock price has clearly been crushed over the past two months, but company performance is another matter entirely. Sounds like no big deal, right? As you can see from GoPro’s guidance, they “only” guided for a 56% year-over-year increase in revenue for the third quarter, compared to the 72% increase in the second quarter. This makes sense if you consider Ambarella’s comments that the second quarter will show slower growth due to the shift in product launches back from the third to the second quarter. After Q1 2015 results beat expectations, showing that action camera sales were not a fad already on the decline, the stock moved back up. What does this all mean? That analysts are prone to confirmation bias of any guidance, news, or even surveys that might confirm their worst fears. Namely, that GoPro is a fad that will eventually end, or will face overwhelming low-price competition, or will face other well-known competitors who will challenge their market share and compress profit margins. Yet, none of these fears have materialized. In fact, GoPro has been facing all these potential threads head on with brilliant marketing, top-notch engineering, world-wide sales channels, and a focus on entering new adjacent markets such as virtual reality and drones. The Session camera appears to be a very good product that was improperly priced. Consumers seemed to prefer the Hero 4 Silver, which has a built-in touch display and higher-resolution video options. GoPro was actually quick to respond to customer feedback and correct the mispricing of this product, which should lead to better sales. In any case, consumers still seem to be purchasing high-end GoPro models rather than abandoning the brand for competitors. 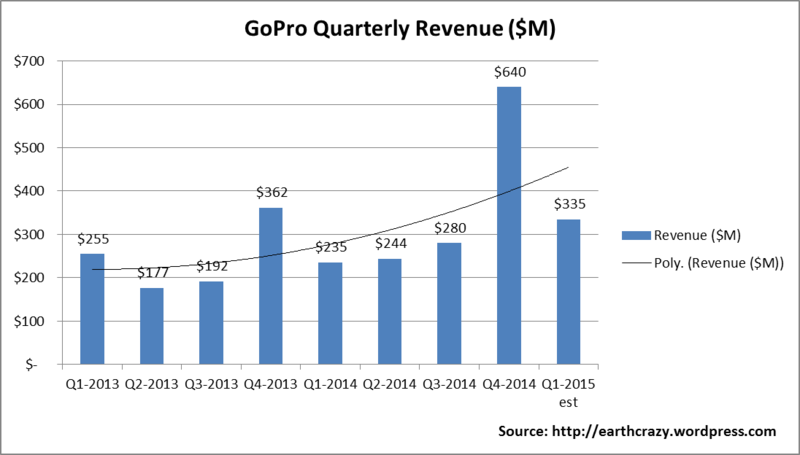 What can we expect when GoPro reports its third quarter results on October 28th? I can’t say, because when fear rules, it isn’t enough to beat expectations, as Under Armour found out last week. Nevertheless, for investors who are focused on the long term, GoPro is a compelling investment opportunity. It is a company focused on growing into new markets and has a premium brand that gives it strong pricing power. I’m not willing to try and time the market by predicting when Wall Street will come to its senses, so I’m taking advantage of this pullback to pick up some more shares at an incredible discount. Disclosure: I own shares of GoPro (GPRO). Update: Boy, was I wrong on this one. Maybe it will bounce after it hits rock bottom! 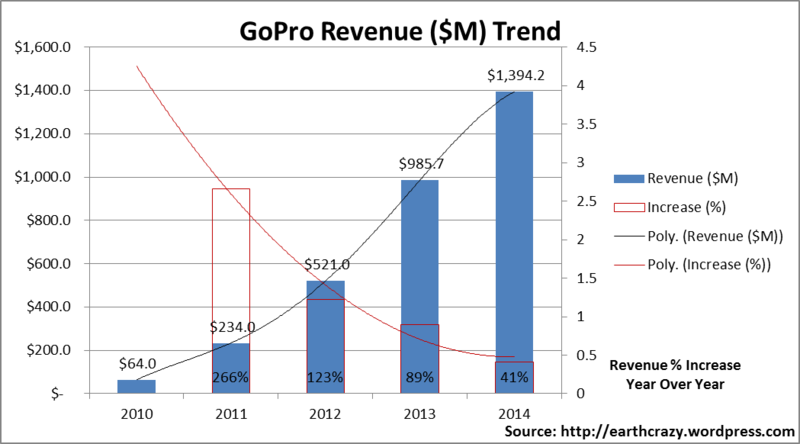 I’m still optimistic about drones and virtual reality camera rigs, so I’m still pulling for you GoPro…. This entry was posted in Economics and tagged drones, GoPro, GPRO, stock market, virtual reality, Wall Street on October 27, 2015 by EarthVisitor. 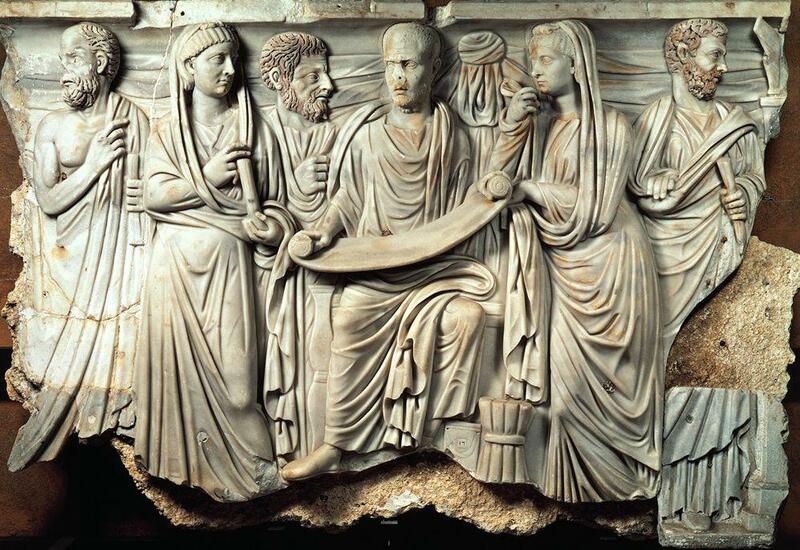 Nobody gives ancient religious leaders or philosophers any credit anymore. They had little in the way of scientific education or knowledge of math and lacked advanced tools that might help them to test their hypotheses, so they did the best they could with what they had. This is to say, they sat around and thought about stuff while their slaves, or congregations, did all the real work. 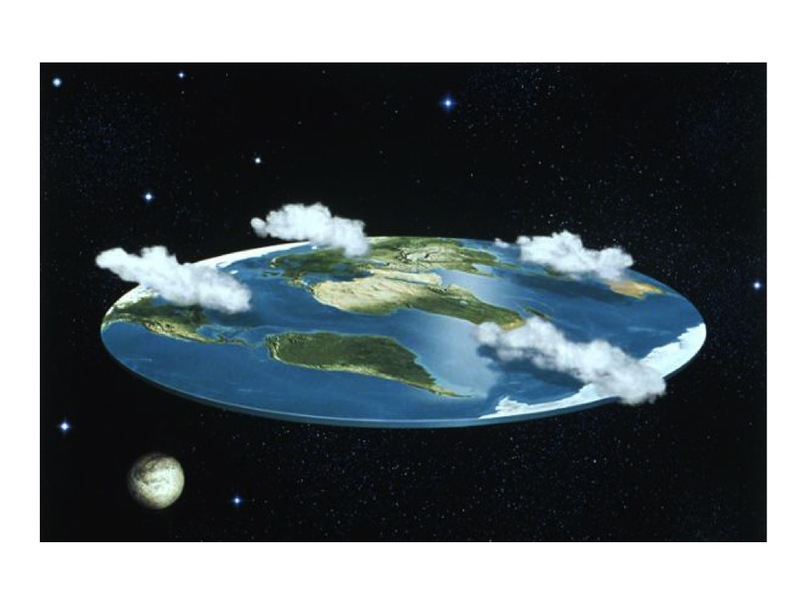 Let’s look at the Flat Earth theory. We all like to deride those people who we now consider to be foolish for ever having assumed the Earth was flat and for suppressing the science that suggested otherwise. Such was the certainty of the Catholic Church, despite the lack of any biblical mention of geometry, math, or anything related to the possible circumnavigation of the Earth, that it took centuries before scientific proof was accepted. The Flat Earth zealots stuck with their theory until they realized that the bible didn’t specifically preclude the Earth from being round and orbiting the sun and until it also became obvious that people were perfectly able to accept that the previous Popes may have been wrong but that the current Pope is still always right. Frankly, the Popes were just doing their jobs as they were taught. They were just messengers and we all know it isn’t nice to shoot the messenger. How can we expect someone with no scientific training to believe every would-be scientist or soothsayer who has a new theory? Just because the science indicates something, doesn’t mean it is true until god is ready to tell the Pope that it is. Or for the Pope to finally agree that it is true, since I’m not exactly sure how clear the communications path is between god and the Pope. Sure, they could have followed Ronald Reagan’s friendly advice to “trust but verify” any reasonable new scientific theories instead of “burn the lying blasphemer,” but it all worked out in the end. As far as I’m concerned, the Earth was flat until it was round. Or is it? In the early twentieth century, Einstein showed that space and time were linked and that gravity was a manifestation of the curvature of space-time. We finally had reached the point where the science was good enough to refute the earlier science that just said the Earth was simply round rather than flat and that things fell towards other objects with an acceleration corresponding to their mass. Things no longer just fell, they moved along the curved paths of space-time. Had ancient religious leaders had Einstein’s insight, I’m pretty sure they would have agreed that the world is indeed flat after all, just as they originally thought. You see, the concept of space-time is just so confusing, and makes so little practical sense, that we have to assume that god created an illusion of roundness simply to prevent people from falling off the edge. He simply could not possibly tolerate the existence of a dangerous flaw in his creation. Consider this. The currently-perceived roundness of the Earth might just be another manifestation of curved space-time. You know that saying that a little knowledge is a dangerous thing? Well, perhaps a little Newtonian classical physics was just enough knowledge to discredit a perfectly reasonable Flat Earth theory, since it didn’t take warped space-time into account. Thanks Newton. You may have thought you stood on the shoulders of giants, but maybe they were really just midgets after all. My breakthrough theory, that the Earth may still actually be flat after all, came to me while I was thinking about how the universe isn’t just an expanding sphere as many people may think. Stick with me here for a couple of paragraphs while I go through the proof. The fact that stars are all receding from each other means that the universe is expanding in all directions, or at least appears so. If all matter were flying outward in an expanding sphere, then the stars would not all have to be receding from each other unless we were all sitting on the outside edge of that sphere. That would mean we are actually in a two-dimensional universe, which doesn’t seem right. 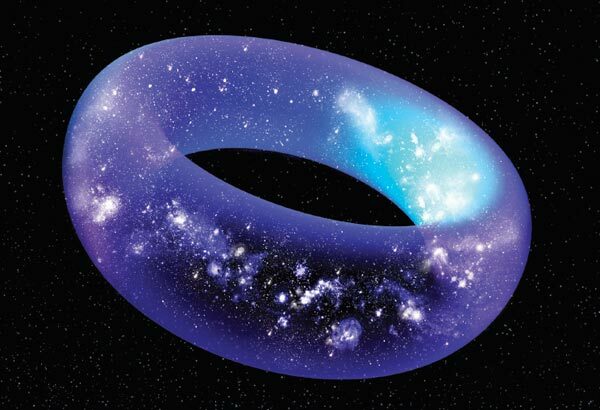 So, that means the universe is somehow warped in a weird way that might resemble an expanding donut or some other shape we cannot easily conceive. The space between stars is also warped, which means that the light from a star may actually be seen coming from more than one direction as it passes by multiple massive objects (e.g. stars, black holes) and bends around them. Theoretically, the Earth could be surrounded by starlight that is actually coming from the same star along many different paths through warped space-time. Instead of billions and billions of stars, as Carl Sagan used to say, there may just be billions and billions of refracted images of far fewer stars. We might even be looking at refracted light from our own star. The obvious and simple conclusion–and I’m pretty sure Aristotle would be happy to back me up on this–is that god probably made the universe flat, for simplicity’s sake, but also made it appear warped to keep people from flying their spaceships off the edge. Maybe he also made it this way to keep us from ever reaching another star and bumping into some of his hideous and dangerous other alien creations. He might not mind it if humans kill off the rest of his terrestrial creations, or the Earth itself, but it is apparent that he has deliberately made it a lot harder for us to start blowing up his more advanced alien worlds. If there are really billions and billions of other planets out there, there have got to be some less aggressive species out there that are a lot more grateful for the opportunity to spend their days worshipping their god rather than indulging themselves. Isn’t it amazing how profound and simple the universe can really be if we just realize that there is a difference between reality and perception and that perception is all that should matter to us? Surely, there is no more elegant way to build a universe than to make it appear simple while hiding its innate complexity. Why do we have religion? Religion helps to keep us from thinking too hard about the complexity of reality. It’s easier, and more comforting, to say it is whatever we say it is and just leave it at that. This entry was posted in Extraterrestrials, Religion, Science and tagged flat earth, warped space-time on September 1, 2015 by EarthVisitor. 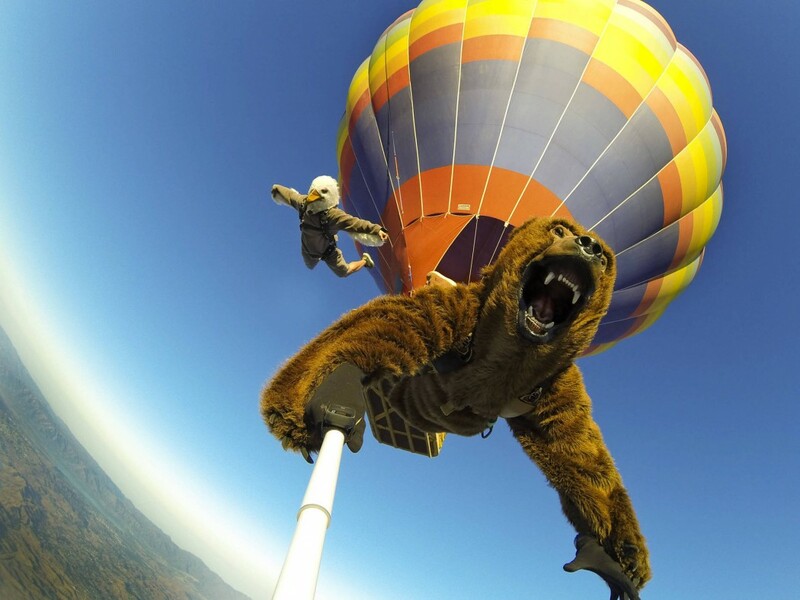 GoPro Inc. is scheduled to release its quarterly results today after market close. Analyst estimates still don’t make sense to me. If you add up the projected revenue numbers for the first two quarters of this year, which I even think are low, and subtract them from the annual revenue estimate, GoPro would have to fall flat on its face during the Christmas quarter to only deliver $1.73B in earnings for 2015. We will find out after 5PM today how GoPro fared in the first quarter. I’m betting on an upside move. Short seller interest is incredibly high at over 61% of the floated shares. If they are right, the stock will crash tomorrow. If they are wrong, it will soar upward as they all rush to cover their short positions. Go to my previous Beat a Hero post to see the full details. 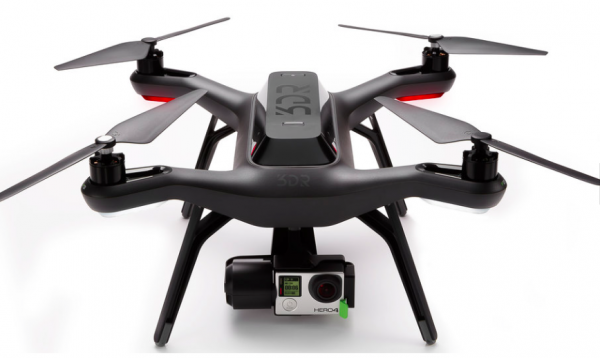 GoPro previously stated its intention to produce drones as a way of expanding its product offering. Wall Street pretty much ridiculed that notion, which does sound like a bit of a stretch for an action camera maker. But drones are going to be big business, so it makes sense as a way to expand their market. But if I were CEO Nick Woodman, I would take the easiest and fastest route to market by buying an up and coming drone maker. Like maybe 3D Robotics. 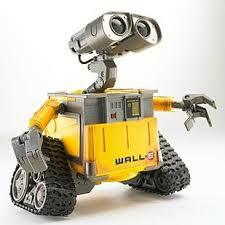 3D Robotics is a small private start-up company with $99M in venture capital funding. It offers an outstanding open-source autopilot system and control app that anyone can use or customize. It is also about to release the Solo drone, which has a GoPro compatible camera mount that has exclusive direct access to the GoPro camera settings via a connector on the back. Thanks their partnership with GoPro, drone pilots can now remotely control, recharge, and use their GoPros to stream live video up to a half mile via Wifi right to their phones. GoPro is also offering a professional-grade $7,500 HeroCast live video streaming transmitter. Why, I wonder, would GoPro offer all this exclusive access to a small start-up drone company instead of keeping the technology to itself? For one thing, it makes sense to license their technology to as many drone manufacturers as possible to promote the use of GoPro cameras. It would be even better to make an exclusive deal with a company that can make the drones for you. So, what’s up with 3D Robotics? 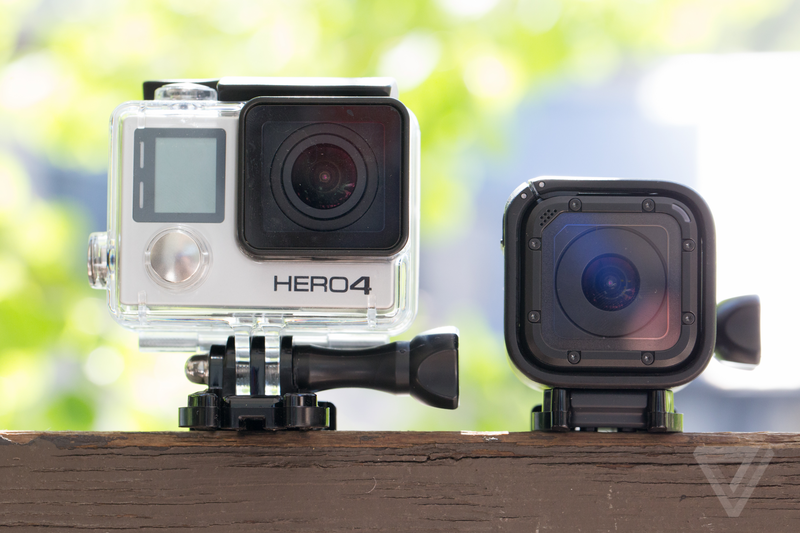 Is GoPro going to acquire the company using a fraction of its $6B stock valuation? Or did they make a sweet deal to jump-start their drone manufacturing aspirations? I’m betting that Nick Woodman is going to make the smart move and get into the drone business fast. Whatever deal may be in the works with 3D Robotics makes a lot of sense. Slam dunk! GoPro results came in as I expected, wildly beating analyst expectations, and the stock soared immediately. Quarterly revenue was $363.1M, up 54% year over year. My estimate was for roughly $364 million, up about 55%. This time, management raised estimates for the next quarter to $380-400M, which is even above my rough projection of $378M and the $334M Wall Street projections. Way to go, pros! This entry was posted in Uncategorized on April 28, 2015 by EarthVisitor. Is time travel possible? Technically no, since time is inseparable from space. The question should really be whether or not one can travel forwards or backwards through a particular path in space-time and return via that same path. As I’m not a physicist, take everything I say with a grain of salt. Still, I can’t help myself from speculating on how time travel might work. Let us conduct a thought experiment where a time traveler builds a stationary time capsule capable of voyaging backwards and forward in time. As he began to move backwards in time, he would discover that the capsule also simultaneously travels through space because its really going through space-time. Even though we appear to be stationary on the Earth, the universe is constantly in motion. The Earth rotates as it revolves around the sun, as the sun revolves around the galaxy core, as the galaxy moves through an expanding universe. If a time traveler attempts to move through time, he might see his time capsule appear to move as all other celestial objects retrace their paths through space-time. The question is whether the capsule will move through space in the same way that it moves when time is moving forward at its “normal” rate. In the first case, we consider motion backwards in time at the same rate that one normally moves forward. This requires some kind of relativistic measure of speed. For instance, going backwards at a “normal” rate would equal minus one second per second (-1/1). Going backwards at ten times normal rate would be minus 10 seconds per second (-10/1). If the capsule traveled at a normal rate of -1 sec/sec, then we can presume that all other forces will be the same but opposite. Any movement would have the same acceleration in the opposite direction. If the traveler starts to move at an accelerated rate through space-time, would he experience changes in the forces of gravitational acceleration (or effects of the shape of space-time) to account for the compressed nature of time? I don’t believe so, because time would move ten times as fast, but the gravitational force (acceleration) should also be ten times as strong due to the compression of time. If the capsule was located on the surface of the Earth, the increase in gravitational acceleration should enable it to stay in the same position. The normal force of acceleration is 9.8 meters per second. At -1 sec/sec, it should be -9.8 m/s and at -10 sec/sec, it should be -9.8*10 m/sec. So, acceleration through space should take place at the same rate as acceleration through time. Any relative motion taking place when the time travel starts should continue at an accelerated rate. But what would the time traveler perceive? According to the theory of relativity, as one approaches the speed of light, time slows down for the traveler, but his perception of time does not change. Time also slows down in the presence of large gravitational forces (masses), as described in the movie Interstellar when the astronauts landed on a planet located near a black hole. But how would the traveler perceive movement backwards in space-time? Would it like be rewinding a video feed? I doubt that reverse acceleration could be infinitely fast, so time would first have to decelerate to zero before starting to go backwards. If the traveler’s time appears to stay the same while the outside world starts to slow down, that is the relativistic equivalent of having the Earth accelerate away from him at the speed of light until time appears to stop for them. But that is not an option. We just want to move through time but stay in the same spacial position. Making time go slower on Earth would also be the equivalent of increasing the mass of the Earth or reducing the mass of the traveler such that time moves more quickly in the capsule relative to the Earth. Increasing the mass of the Earth and everything on it does not sound like a viable option. Not only would people feel heavier and be unable to move, they would also see celestial objects speed up because time would be moving slower on Earth. Somehow, the traveler would need to shield himself from the relativistic time-slowing effects of mass in order to speed up the time in his capsule until time on Earth appears to stop. In effect, the ship would have to neutralize gravity, which is associated with mass. Maybe antimatter can neutralize matter and gravity by creating anti-gravity and speeding up the passage of time. In this case, the traveler needs to be able to generate enough antimatter within the ship to counteract gravity. Scientists suspect that antimatter will attract both matter and antimatter, but this has not been experimentally confirmed. NOTE: Neutralizing gravity seems to be what UFOs are able to do. Not only have they been sighted hovering with no known form of propulsion, they have also been seen accelerating at an extremely high rate. The only way to physically survive such high rates of acceleration is to change the passage of time on the ship so that it doesn’t feel like the acceleration is really that fast. It sounds to me like UFOs must be speeding up the passage of time within their ship. But, back to time travel. Even if one could speed up time within the ship until time appears to stop outside, how would one break through the barrier and actually start to move backwards in time? Hmmmm. Maybe if the presence of mass (matter) slows time, the presence of antimatter does something even weirder rather than just neutralizing matter and speeding up time. I can’t quite figure out how that would work other than to speculate that the traveler would have to pass the point of zero gravity/mass until it experiences negative gravity due to the presence of an excess of antimatter. Maybe negative gravity results in a relatively infinitely fast passage of time such that where the outside world actually moves backwards. If the traveler starts to move backwards at ten times normal speed, would he also feel the increased force of gravitational acceleration (a -10G force)? If so, this would probably cause him to pass out or rip him or his capsule apart. Or would the passage of time and the forces of acceleration seem to stay the same for his own frame of reference? What does negative gravity due to antimatter feel like? Instead of attracting objects together, does it force them apart, much like the universe seems to be expanding at an ever accelerating rate? 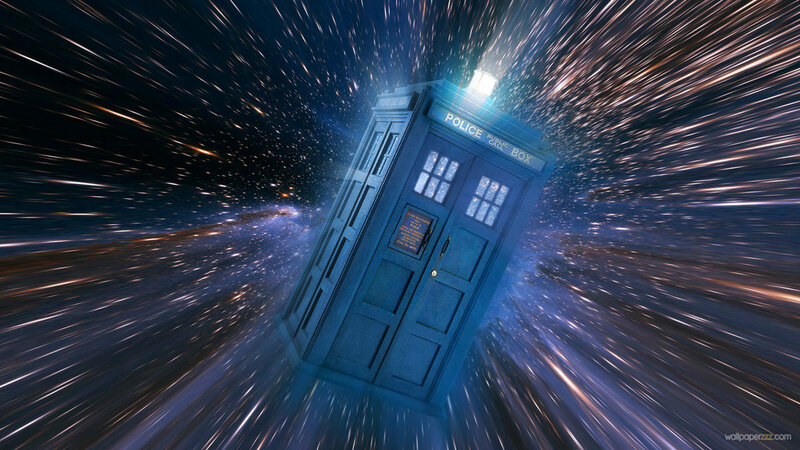 It might be too dangerous to travel through time while stationary on the surface, since other objects might move through the same space and destroy the capsule or be destroyed by the required increase in the mass of the capsule. Storms, fires, moving objects or people, or other threats to the capsule might emerge, making it too risky. For this reason, it might be safer to travel backwards in time from a position in space or at least above atmospheric disturbances. However, if the capsule were located in space and was in motion, it might not stay in the same position. If the capsule was in space on the leading edge of the Earth (i.e. in front of its absolute direction of motion through the universe) and moving slightly away, his capsule might increase its acceleration away into space as the Earth retraces its path backwards through the universe and the capsule lacks an equal force to accelerate it backwards with the planet. The speed of this relative motion would correspond to the speed of the change in time. If the capsule were moving slightly towards the Earth when reversing time, the capsule might increase its acceleration towards the surface and crash. If the traveler moved relatively quickly through time, the Earth would change its relative location even faster and its speed of motion would differ from the speed of the time traveler after being accelerated by gravity. The traveler would move relative to the planet unless he was in perfect geosynchronous orbit. If he reversed the direction of time back to the forward direction, he would find himself accelerating back in the opposite direction. 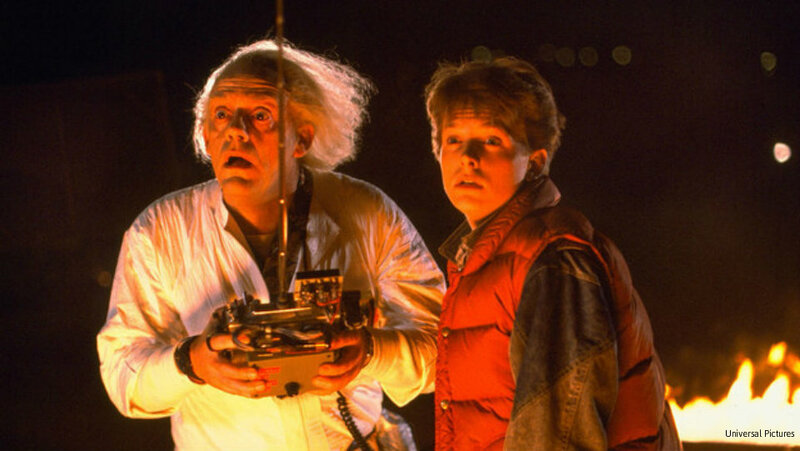 If the time traveler was located on the trailing edge of the Earth (i.e. in back of its absolute direction of motion through the universe) and moving slightly towards the Earth, his capsule would accelerate down as the planet retraces its path backwards through the universe. If the traveler attempts to move too quickly through time, the capsule may crash into the Earth at a high velocity, resulting in its destruction. Let’s assume that the traveler has a stationary capsule, but no spaceship. In this case, he would have to anchor the capsule to the ground and limit the speed of his motion backwards in time in order to attempt to avoid interacting with objects that might damage or destroy the capsule. As he travels back through time, he will eventually encounter other objects or sentient beings as they attempt to move through the same physical space. This will, of necessity, change the course of time as these objects or individuals are forced to alter their course as they hit or go around the object. For instance, when the capsule moves to a point in space-time where it becomes visible to another human, the course of that human’s future will change or diverge into a new path through space-time. As the capsule continues to move backwards in space-time, the time at which the other human first sees it will also change, so he will not be able to react to its appearance. Only by moving forwards again in space-time will the traveler see the effects of his travel on the future course of time. 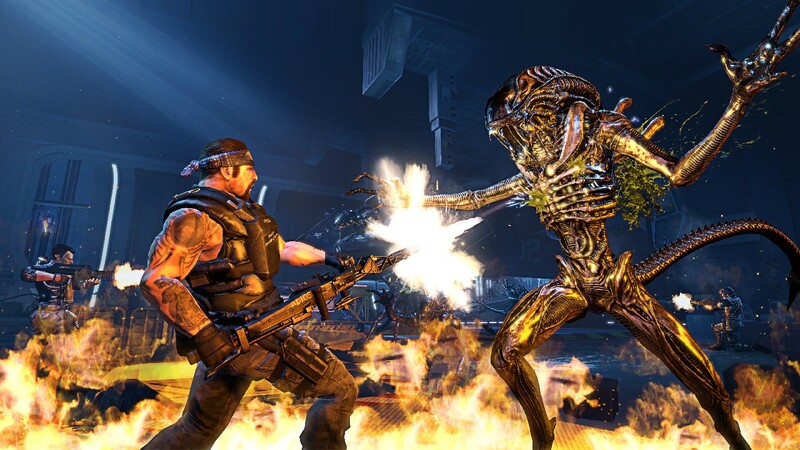 If he tries to move forward again in time, the human observer may attempt to interact with the object, including the possibility he may attack and destroy it. The next question to ask is whether there would now be two possible paths forward through time. Could one find the path originally followed backwards or only the new, still unknown, path created by the effects of the backwards motion? 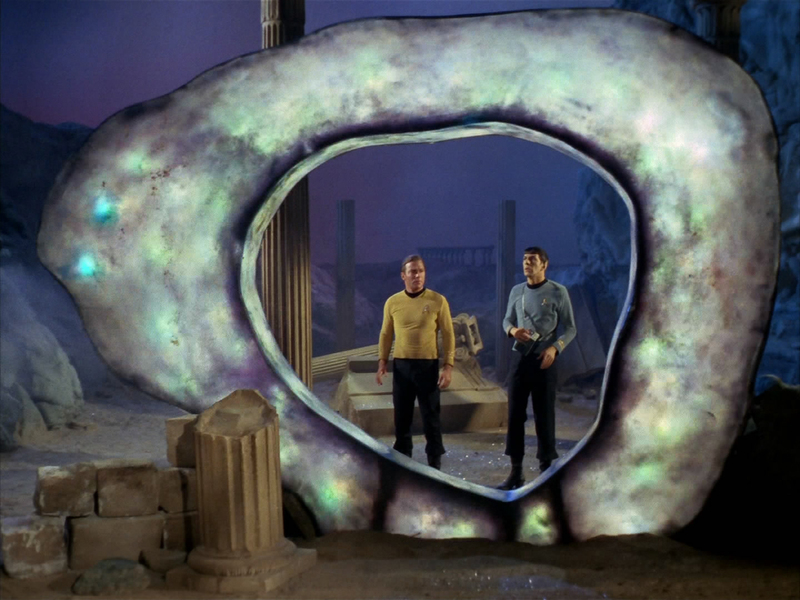 It should now be obvious that cosmic geometry would be an important factor in travel through space-time. It would also therefore be necessary to be able to perform calculations to project the path of motion through space-time before attempting such travel. In doing so, a spaceship would be advantageous as it would enable a traveler to remove himself from the proximity of large gravitational bodies and to avoid crashing into such objects during the trip. Assuming the time traveler obtains a spaceship, he will most likely want to move into the open space in front of the planet as it moves through the expanding universe. Then, as he begins the process of reversing space-time, he will be able to start navigating his ship without immediate fear of collision. The better his ability to navigate a course and make real-time corrections, the faster he will be able to travel backwards through time. 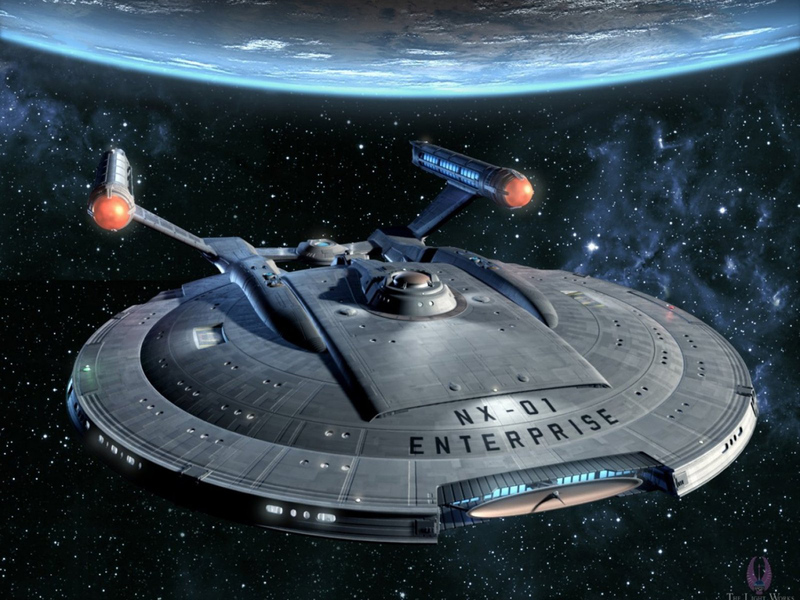 Navigation at high rates of time change would require high speed processing, so such a spaceship would probably require an automated navigation system programmed to avoid obstacles and follow objects of interest as they move relative to the ship. Sounds pretty complicated to me, but then why wouldn’t it be? The very act of changing the direction and speed of time would have to require some powerful kind of device anyway, so it seems obvious that this would require a large space ship capable of manipulating matter, antimatter, and their resultant gravitational or anti-gravitational forces (or warping of space-time). Einstein says it isn’t possible to exceed the speed of light and that you can’t go back in time. He is probably right, but I’m not sure he had sufficient knowledge of antimatter or the possibility of anti-gravity. If it is possible to travel backwards in time, it still would probably require some mind-bending technology and a pretty advanced space ship. Is it worth the effort? Probably not. This entry was posted in Science, Science Fiction and tagged anti-gravity, antimatter, einstein, gravity, Theory of Relativity, time travel, UFOs on March 27, 2015 by EarthVisitor. If you had a choice between a quality product and a cheap one for the same price, wouldn’t you always choose the higher quality item? Isn’t the sale of high-priced, high-quality smart phones what has made Apple the most valuable company in the world? We could all just settle for cheap, disposable prepaid phones, but most people don’t. I would assume that a better product would always be preferable, barring some unusual circumstances. But throw in one more factor, extreme convenience, and that answer seems to go out the window. My company offers free coffee and tea to all employees along with a kitchen area that has microwaves, a sink for cleaning, and tables for eating. They also provide paper or Styrofoam cups and plastic utensils for anyone who needs them for their lunch. I prefer to use my own coffee mug and real silverware, which I keep at my desk. Yet, I’ve noticed that most people prefer to use the disposable cups and utensils even though I know most of them have perfectly good mugs at their desks and utensils at home. Nearly everyone has a mug because they are easy gifts and companies tend to give them out with their company or product name on them. 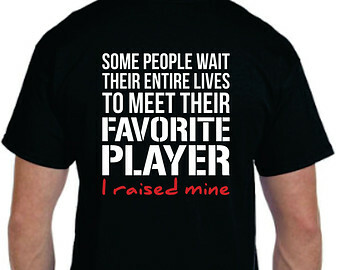 Other people buy mugs with the logo of their favorite sports teams, funny quotes, or other personalized features. So, not using a mug isn’t a matter of cost. So why would someone forego a perfectly good mug, which is certainly much more comfortable to drink out of and better insulated, for paper or Styrofoam? The only answer I can come up with is the convenience of not having to carry the mug to the coffee pot or to clean it. However, some people who do use mugs don’t even bother to clean theirs, so that excuse doesn’t even work. They often point to their coffee-stained insides with pride when they tell me how many years of coffee buildup they have achieved without a single cleaning. So, it is hard to believe that it is a matter of cleanliness. It’s all about laziness. Are people really so lazy that they would rather use a small disposable cup than have to carry around a mug? It appears that this is the case. If so, what are the global implications for consumption as a whole? Would people rather throw away than reuse something better? It seems so, but this explosion of waste is driving environmentalists crazy. I happen to be one of the few people who buys some of our milk in a reusable half gallon glass container. When the container is returned to the store, I receive a refund and the local company that bottles it reuses the container. Why bother? Because their chocolate milk happens to be much better than anyone else’s, but also because the container is thick and feels good to hold, plus I like the idea of non-destructive recycling. 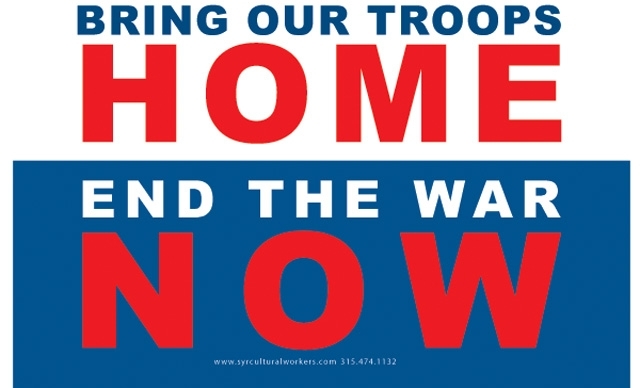 But it is no longer the norm. In fact, I’m surprised that anyone still recycles containers. At what point will it become more cost effective to recycle containers and, even if this happens, will people bother? I suspect that they will not. It has taken years to finally get a great destructive recycling program going, where people can throw all kinds of recyclable material into a single mixed bin. But I can’t conceive of a time when people will, in large numbers, choose to reuse materials rather than to throw them in a bin for collection. The only technological development I can foresee that will save us from our destructive, wasteful tendencies is that of the robot. 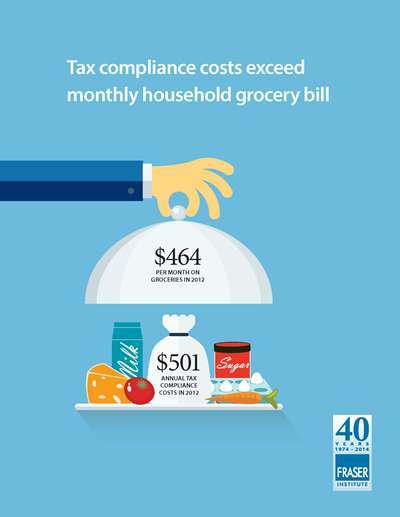 When they become cheap enough, they can be set upon our waste landfills like ants on a pile of crumbs. They can sort out all the most valuable recyclable products, separate them, reprocess them, and make them available as resources for re manufacturing. 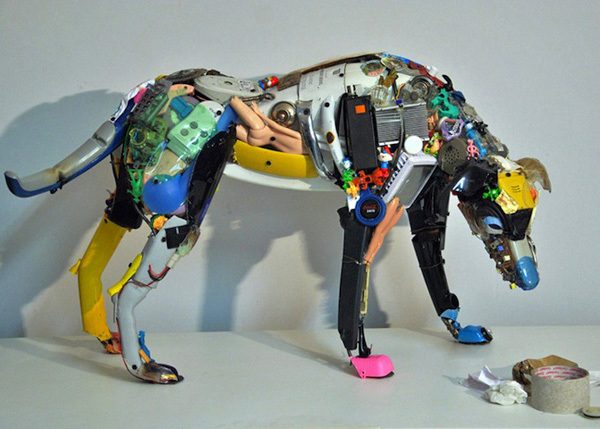 By fitting them with material sensors and connected to information about the market price for commodities, these recycle bots will be able to prioritize, in real time, the selection of items for recycling. Guess what? We already have trash robots. When robots come into wide scale use for the processing of trash, the cost of commodity materials will go down and will make it even more cost effective to produce disposable products. The world may have many other uses for robots, but I suspect we will have armies of them devoted to nothing more than searching for waste that can be recycled. If they are owned by private parties, rather than provided as a government service, they might even compete for your waste. When this happens, there will no longer be a need for trash bins. People routinely throw their trash on the ground anyway because they are too lazy to look for a container, but when the day comes that there are bots to retrieve it for you, how many people are even going to bother to look around for a waste container? Imagine you are walking down the road eating a snack. Instead of looking for a waste container, you might be able to simply throw it on the ground knowing that a bot will come by shortly to retrieve it. Bots might even see you walking with the snack and follow you knowing that you will eventually throw it away. Or maybe they will dash out of tiny garages to grab it before another bot can get to it. I know–it sounds creepy…. Or maybe you can just call for a trash bot and it will come. If the cost of bots is far lower than the value of the resources they can recycle, we may end up with fast bots that compete with each other for the trash, especially in dense urban environments. 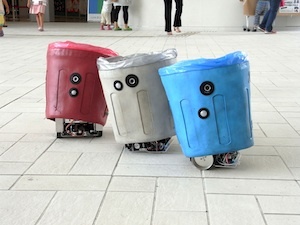 I’m not sure I like the idea of little robots running around us picking up trash, but it seems like a plausible solution to our even-increasing habit of using disposable products. But what happens when a trash bot starts to malfunction? Will another trash bot kill it for its parts? I guess we’ll just have to make our bots cannibals. Just beware of the human organ recycling bots! 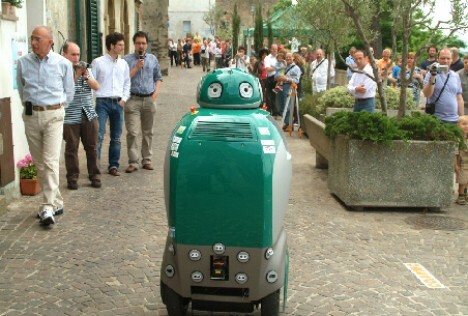 This entry was posted in Economics, Technology and tagged trash robots on March 11, 2015 by EarthVisitor. How many times have you heard that sugar makes kids hyperactive, or that caffeine will keep you up all night, or that cigarettes make you jittery? Well, research now shows that this is not true for everyone. In fact, it can have the opposite effect on some people and in moderate amounts. No, you’re not necessarily crazy, you’re just different. There have been at least twelve trials of various diets investigating different levels of sugar in children’s diets. That’s more studies than are often done on new drugs coming to market. None of these studies detected any differences in behavior between children who had eaten sugar and those who had not. These studies included sugar from candy, chocolate, and natural sources. Some of them focused on children with attention deficit hyperactivity disorder (ADHD) and some only included children who were considered “sensitive” to sugar. In all of them, the children behaved the same after eating something full of sugar or something sugar-free. Yet, the myth that sugar makes people hyperactive defies scientific evidence. Sugar can actually calm kids down. When sugar enters the bloodstream and reaches the brain, it temporarily increases calming neuro chemicals like Serotonin. 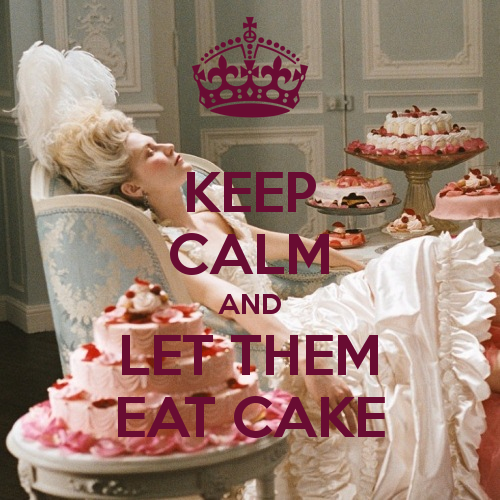 But sugar isn’t good for you, and corn syrup is even worse, so you have to choose your poison carefully. Dark chocolate is a lot healthier than milk chocolate and can help reduce cortisol levels as well as lower the levels of epinephrine and norepinephrine, which make kids (and adults) anxious and nervous. Chocolate is also rich in Tryptophan, which is a biochemical precursor that helps with the production of Serotonin. 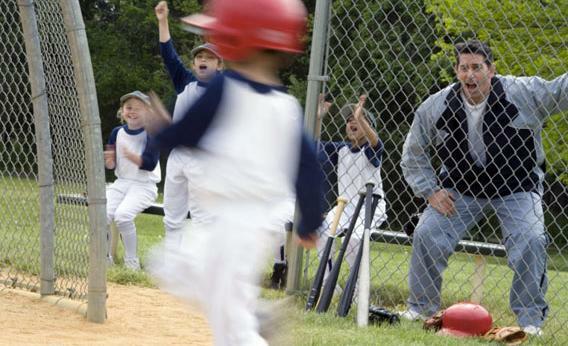 So, the next time your kid is bouncing off the walls, why not try giving him a little chocolate to calm him down? Other good sources of Tryptophan include milk, eggs, Cod and spirulina, but unless your kids are a bit odd, I suggest you just stick with the milk and eggs. So, to get even more bang for the buck, get your kid to eat a real egg before he gets the chocolate egg. 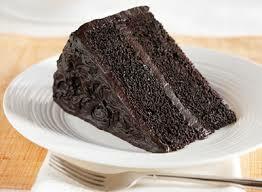 Wait, can’t you get milk, eggs and chocolate all together in a piece of dark chocolate cake? I think I’ve found the perfect food! Like sugar, caffeine and nicotine can also relax some people. Central nervous system stimulant drugs like methylphenidate are used to treat children who suffer from ADHD. 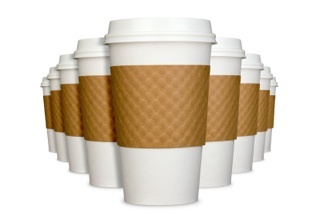 Caffeine is also a central nervous system stimulant and thus is being studied as a potential aid for this condition. Some folk medicine treatments for ADHD even recommend combining caffeine and sugar. According to an article in the June 2001 issue of “Monitor on Psychology,” caffeine seems to calm hyperactivity and reduce aggressiveness in kids with ADHD. 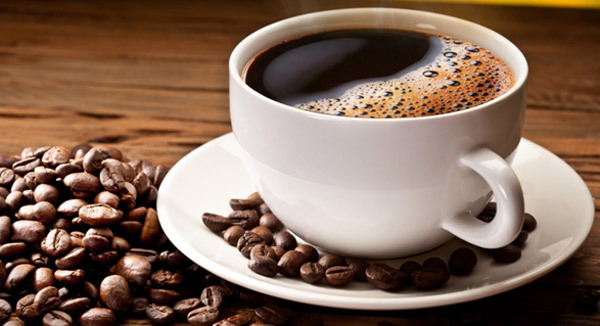 In one analysis of studies reported in the article, caffeine didn’t work as well as traditional ADHD stimulant drugs, but it helped calm hyperactivity better than no treatment at all. Additionally, a 2003 Canadian review of studies published in the journal “Food Additives and Contaminants” noted that caffeine has been used successfully to treat ADHD and has been shown to increase performance by ADHD children in attention tests. This might even work well for some people at night. Caffeine works by blocking the receptors in the brain that make you feel sleepy, but some people are resistant to that effect. I happen to be one of them. If your brain is resistant to caffeine, then a warm drink of any kind, including coffee, will help relax you and ease you into sleep. Nicotine is not just a stimulant. It is also a known relaxant, primarily because it increases levels of Dopamine in the brain, a hormone / neurotransmitter that causes sensations of pleasure. Nicotine produces pleasure by attaching to the nicotinic acetylcholine receptor found on certain nerve cells. In response to nicotine, these nerve cells release a chemical signal called glutamate, which tells connected neurons to release dopamine. The more these nerve cells are excited, the more Dopamine is released and the more pleasant the feeling. Unfortunately, Nicotine doesn’t come by itself–and you really don’t want the side effects that come with smoking. Too bad we can’t brew a relaxing cup of nicotine-laced coffee before bedtime. Evidence like this makes me skeptical of any medical advice the “experts” give that is supposed to apply to everyone. Much of what we are led to believe, even if it is scientific, only applies in some cases or sometimes doesn’t even apply at all to some individuals. 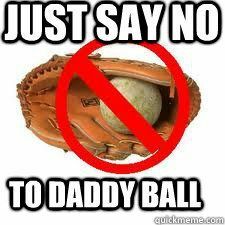 Not everyone responds the same way to the same chemicals, hormones, foods, or other environmental factors. So, if something doesn’t feel or seem right, it just might not be right for you. 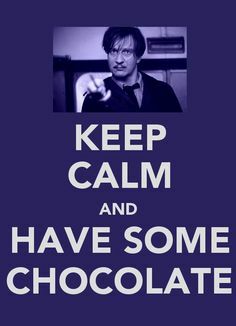 Maybe we should all just listen to Professor Lupin. Eat some chocolate. It’s good for you. This entry was posted in Drugs, Medicine and tagged ADHD, Caffeine, Dopamine, Nicotine, Serotonin, Sugar, Tryptophan on February 23, 2015 by EarthVisitor. 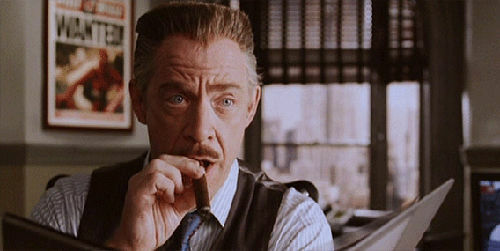 Just as Jonah Jameson, publisher of the Daily Bugle, just can’t credit Spiderman for his heroic acts, Wall Street has again dissed its latest hero, GoPro, maker of the Hero series action camera, which just demolished expectations for the fourth quarter of 2014 with a year to year increase of over 75% in revenue for the holiday quarter. GoPro (ticker GPRO) is crushing the competition and had the hottest selling video camera of the holiday season. So, why did the stock initially jump up during the earnings announcement only to reverse course during the company conference call and crash and burn for the past few days? 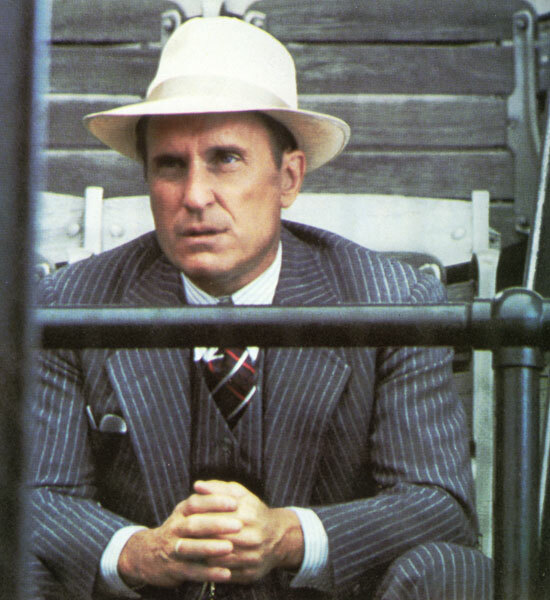 Is Wall Street populated by manic depressives, schizophrenics, idiots or just paranoid jackasses? The apparent cause of the stock price crash was a discrepancy between the tremendous holiday quarter and the merely-average projections for a 42% year over year performance for the next quarter, which still exceeds revenue expectations and are in the expected range of earnings estimates ($.15-.17 per share compared with average expectations of $.17 per share). It also didn’t help to find out about the resignation of the COO, Nina Richardson, which immediately sent Wall Street’s analysts in a panic, taking the momentum out of the stock. I don’t normally dig into the details of company financials, but something just didn’t smell right and my Spidy senses were tingling, so I did a bit of checking. What I discovered is that Wall Street, for all its high-powered talent and number-crunching ability, didn’t do jack to figure out what actually happened here. The issue seems to center around the difference between the revenue projections for the first quarter of the year. During the conference call, Citibank analyst Jeremy David asked why revenue was expected to go down by 47% from Q4 2014 to Q1 2015, compared to a decrease of only 35% between Q4 2013 and Q1 2014. GoPro responded that they were projecting average 41% growth last year, so that is what they used. This projected slowdown in growth must have sent his mis-guided Spidy senses tingling. Citibank is among the most negative of all GoPro analysts. So, what does this mean? Simply that the first quarter of 2013 had an inflated number of sales due to GoPro not being able to get them shipped out for Christmas. This is clear in the revenue numbers, since there is an 8% decline in sales from Q1 2013 to Q1 2014 and an even larger and unusual decline from Q1 to Q2 of 2013 compared to Q1 and Q2 of 2014. The result is a bunch of stock analysts who can’t figure out why first quarter sales are projected to be 47% down this year compared to only 35% down last year (Q1 2014) and only down 31% the year before (Q1 2013). Sometimes you have to do more than crunch numbers. You also have to read and investigate. Isn’t that what stock analysts are paid to do? So, I went back and adjusted the revenue for Q1 of 2013 to account for the delayed 2012 holiday season sales and placed the revenue in line with how GoPro has been growing for several years. I decreased revenue for Q1 2013 by 33%, which places it just under the revenue for the second quarter and shows about the same growth quarter to quarter as in 2014. This small adjustment changes the outlook going forward. GoPro has consistently issued conservative (low) guidance, and based on my revised numbers, I believe that this is what happened last week. By my estimates, the first quarter of 2015 is probably going to be another large earnings beat. 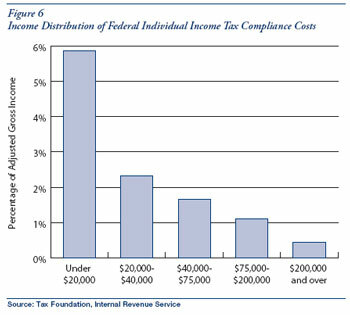 Here are the charts to back it up. 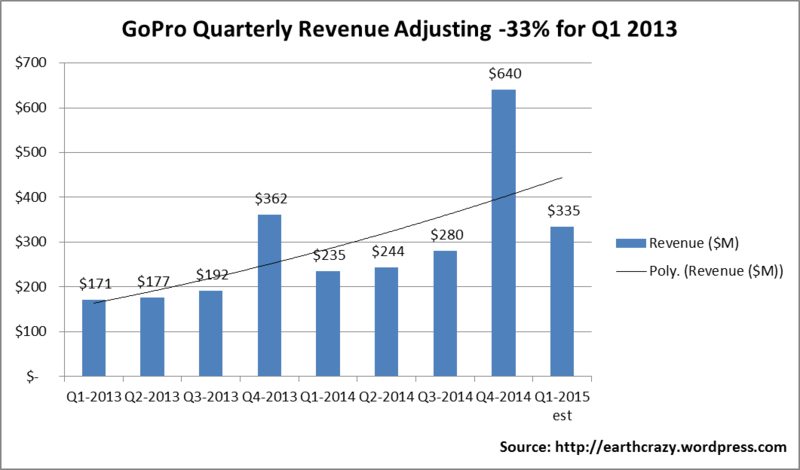 The following chart shows GoPro revenue by quarter using actual numbers and the one below shows revenue with the adjustment to the Q1 2013 revenue (revised down by 33%). 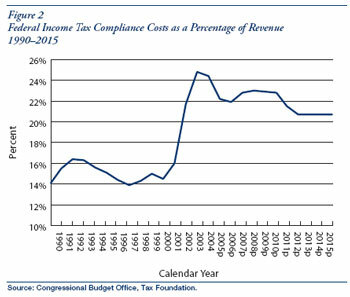 The second chart shows more even continued upward growth. 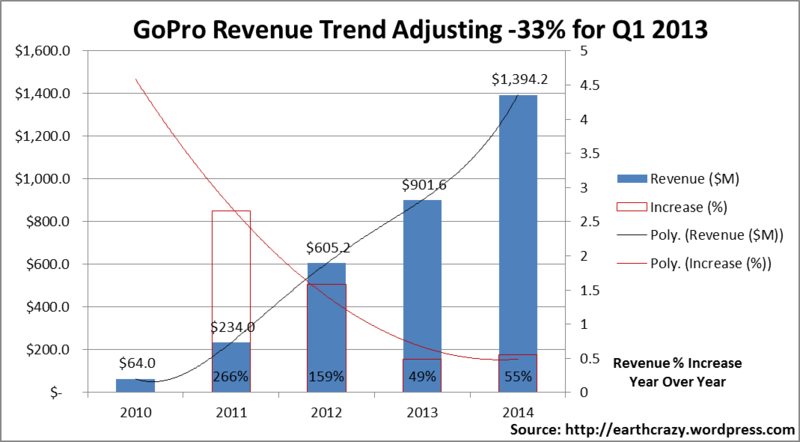 The following chart shows GoPro revenue by year using actual numbers and the one below shows revenue with the adjustment to the Q1 2013 revenue (revised down by 33%). They both show a decline in the previous unsustainable growth rate of 266% in 2011 to a more sustainable rate. However, the second chart shows a bigger growth rate for 2012, when the Hero3 was supposed to have been sold, but was delayed. This shift in revenue leads to lower, but still great growth in 2013, which is when the Hero3+ was released (Oct 2013), followed by another surge in growth after the Hero4 was released (Oct 2014). 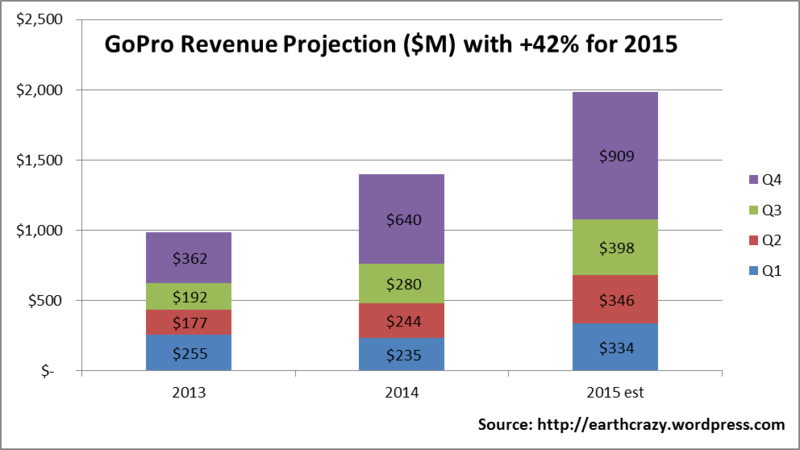 If correct, 2014 would have seen revenue growth of 55%, not 41%. Although the change does not affect what happened in 2014, it changes the trend. 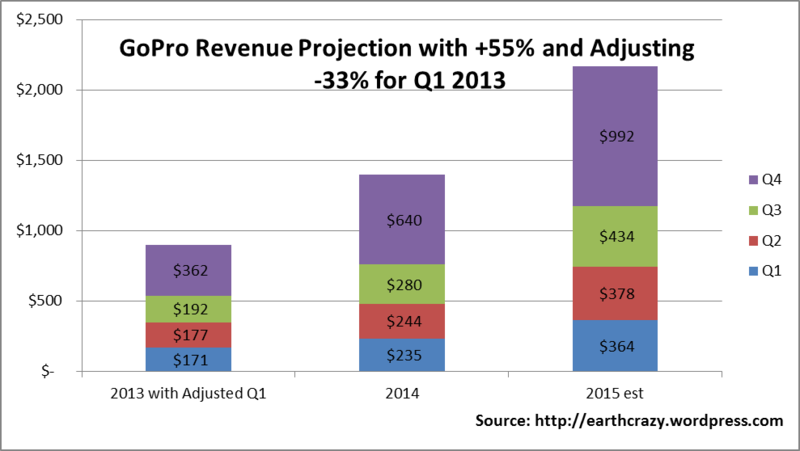 Increasing the 2014 revenue growth would also increase the earnings per share growth upwards as well. This leads to the final charts, which show revenue projections adding in GoPro’s estimate of 42% revenue growth for 2015. At this rate, current earnings estimates should fall in line with their projected range of $330-340M for the first quarter of 2015. However, the upward trend looks even stronger to me. If the trend really is in line with my revisions to Q1 2013 revenue, then GoPro might be looking at smashing estimates for Q1 2015 with 55% growth (about $364M) assuming all things stay relatively stable. Of course, this is all guesswork. No matter how many charts and numbers we can put together, nobody can predict the future. But if I were a Wall Street analyst, I’d spend a little more time looking at the numbers we already have. Come on Citibank, get your act together! What do you say about them apples??? GoPro Inc. is scheduled to release its quarterly results today after market close. Analyst estimates still don’t make sense to me. If you add up the projected revenue numbers for the first two quarters of this year, which I even think are low, and subtract them from the annual revenue estimate, GoPro would have to fall flat on its face during the Christmas quarter to only deliver $1.73B in earnings for 2015. We will find out after 5PM today how GoPro fared in the first quarter. I’m betting on an upside move. Short seller interest is incredibly high at over 61% of the floated shares. If they are right, the stock will crash tomorrow. If they are wrong, it will soar upward as they all rush to cover their short positions. This entry was posted in Economics and tagged GoPro, GPRO, Stock Analysis, Wall Street on February 11, 2015 by EarthVisitor.